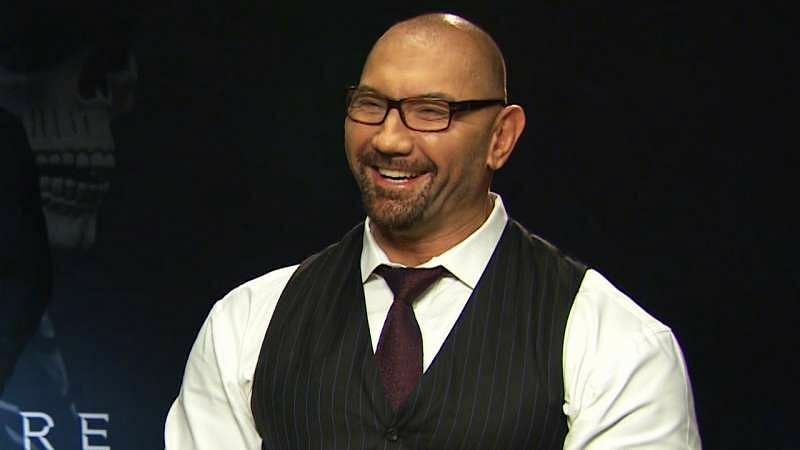 David Bautista or better known to fans as Batista has transitioned successfully into being a full-time actor. He already has some high-profile releases under his belt such as Guardians of Galaxy and Spectre and is also set to be a part of the upcoming Avengers movie. In the screening for the Guardians of Galaxy Vol. 2 movie, Batista was photographed with the Smackdown LIVE Commissioner Shane McMahon and the Editorial Director of Men’s Fitness, Shawn Perine. Batista left WWE for the second time in 2014 due to arguments over the creative direction. Since then, Batista has been quite vocal about how badly his return was handled and claimed on numerous occasions that he is done with wrestling. Batista also refused a cameo appearance at Wrestlemania 32. 0 Komentar untuk "WWE News: Shane McMahon spotted with Batista"